New plant expands capabilities, lowers shipping costs, enables faster equipment repair for customers in eastern U.S.
ArmorMax Engineered Products, a business unit of the MAX Group of Companies based in New Castle, Pennsylvania, has opened a new manufacturing, warehousing and repair facility in Lebanon, Pennsylvania. ArmorMax provides industrial manufacturers with a full range of custom-sized and custom-engineered ceramic fiber and refractory products, along with off-site repair and refurbishment of fiber or refractory-lined components and equipment. The company also engineers, fabricates and installs custom-designed lining systems to help industrial manufacturers reduce fuel consumption and related emissions. 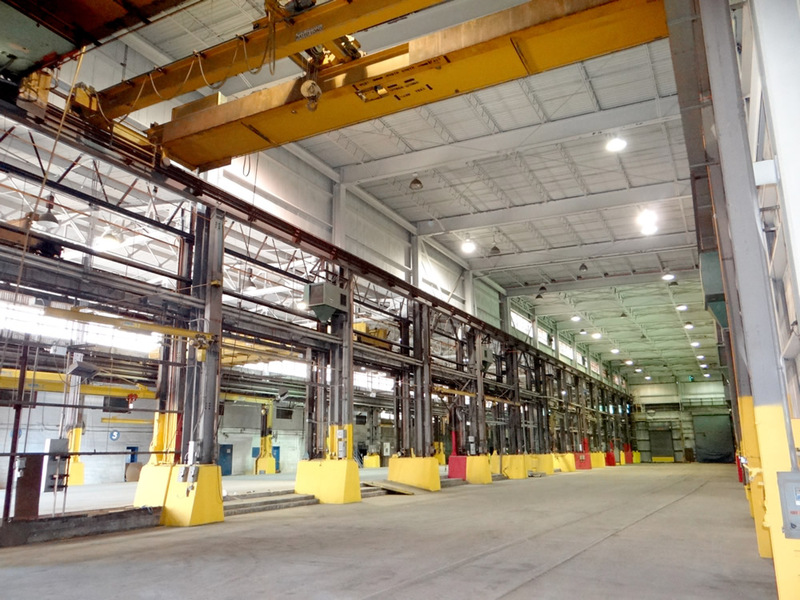 The new 50,000-square-foot plant, located at 300 North Fourth Street, houses four overhead cranes with capacities ranging from 10 to 25 tons. The facility also contains a rail spur, loading dock with leveler, and large 16-by-20-foot and 25-by-25-foot doors to accommodate oversized equipment shipped to and from the site. The site also will double as a regional warehouse stocked with a wide range of Morgan Thermal Ceramics insulating and refractory products for quick-ship service to Thermalmax customers in eastern Pennsylvania, New York, New Jersey, Delaware and Maryland. In addition to its overhead crane capacities, the new ArmorMax East plant is equipped with in-house auto-CAD capabilities that enable its experienced staff to design, engineer and install custom refractory linings for all types of heat-processing equipment, including doors, ladles, tundishes and pre-heat stations. ArmorMax also can fully rebuild furnaces, kilns and other refractory- or fiber-lined heat-containment vessels. ArmorMax produces and repairs customized refractory linings and equipment at a separate facility in New Castle, Pennsylvania, and can provide complementary products and services through its affiliated companies, Thermalmax and ArmorMax Construction. As an exclusive distributor for Morgan Thermal Ceramics and other leading refractories producers, Thermalmax maintains a comprehensive inventory of insulating and refractory products, including firebrick, mortars, castables, ceramic fiber blankets, microporous block and refractory paper, felt and boards. Specialty products such as precast shapes, weld blankets, curtains, anchors, refractory modules, gaskets and seals also are available. ArmorMax Construction, the specialized installation arm of the MAX Group of Companies, offers more than 150 years of combined refractory installation experience. It provides turnkey installation services from initial engineering and design through masonry, gunning, casting and final dry-out. To learn more about ArmorMax Refractories and the MAX Group of Refractory Companies, visit www.thermalmxinc.com or call (724) 656-1750.